I have heard about how easy and how economical homemade laundry soap was to make, but until I started seeking out recipes, I really had no idea HOW easy and HOW economical it would be. I found all of the items at Kroger. I looked at Wal-Mart, but was unable to find them. I also heard that you could get the bar soap and the washing soda at Ace Hardware. I paid $1.29 for the soap and $2.79 for the washing soda. Note, this is not baking soda. The Borax I already had, but it costs about $3.00. 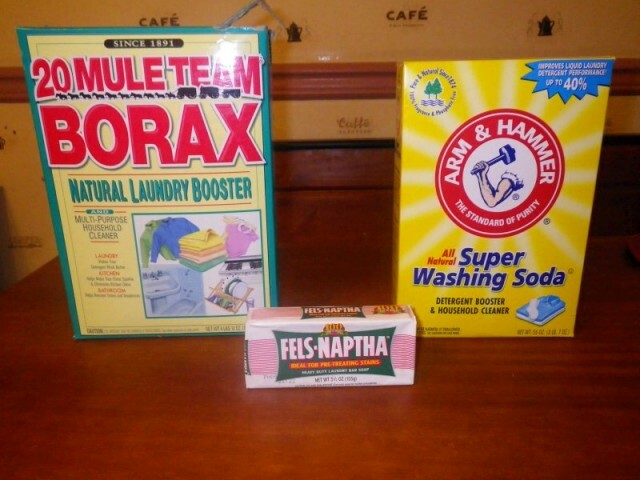 There are 5 ounces of washing soda in each batch of laundry detergent – so, a 55 ounce box will make you 11 batches. Which means that I paid $0.25 for washing soda for one batch of detergent. There are 3.5 ounces of Borax in each batch of laundry detergent – so, a 76-ounce box will give you just over 21 batches. Which means I paid about $0.14 for Borax for one batch of detergent. Each bar will make 2 batches. Which means I paid $0.65 for the soap for one batch of detergent. This batch will wash 64 regular loads of laundry, or 128 HE loads. I paid $1.06 for a batch to wash 64 regular loads of laundry, or 128 HE loads. 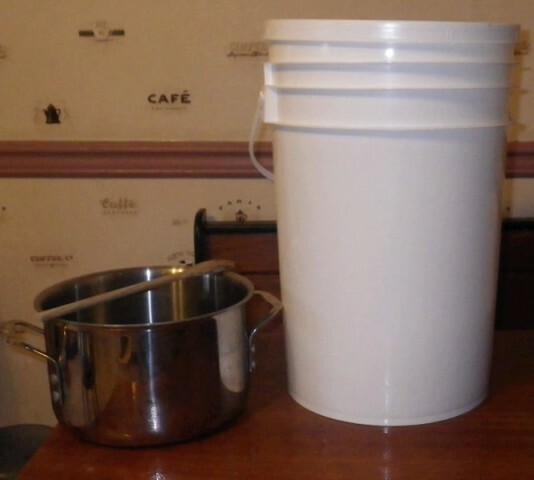 You’ll also need a bucket that is at least 3 gallons and has a lid and a large pot that will hold at least 10 cups of water. 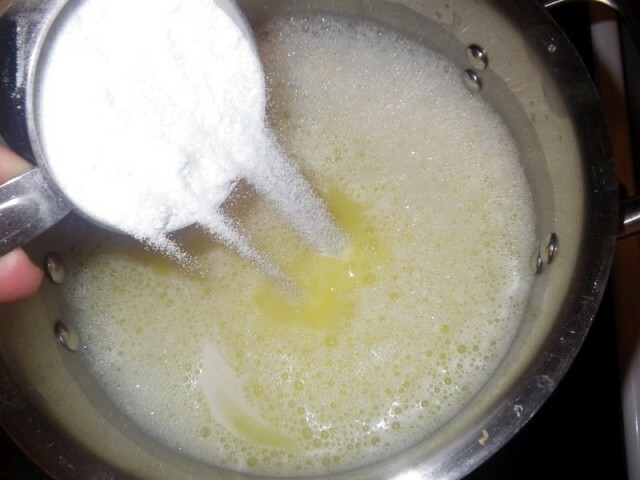 Add the soap to a pot with 10 cups of water. Heat until the soap dissolves. Add ½ cup of Arm & Hammer Washing Soda. Add ½ cup of 20 Mule Team Borax. Pour 1 gallon plus 6 cups (22 cups) of cold water into your bucket. Cover. Let sit for 24 hours. 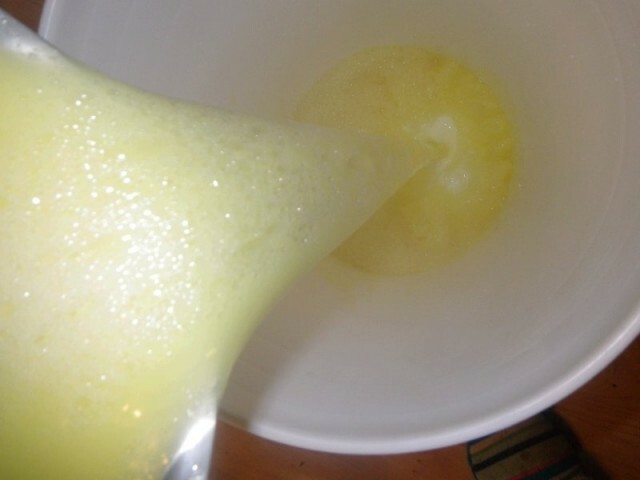 I made a batch of homemade liquid detergent last month and love it. 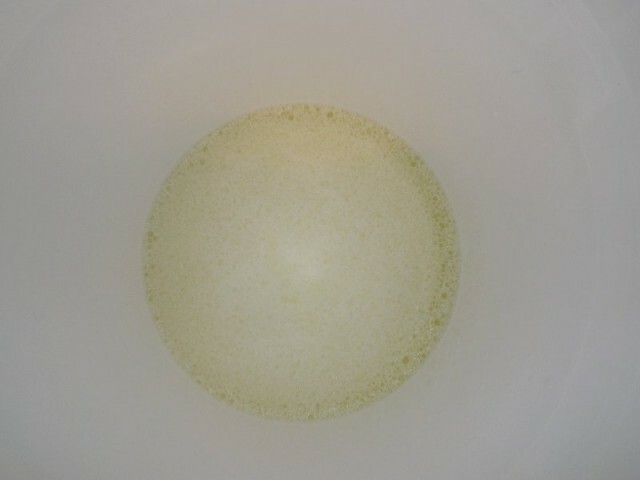 I did the 1 bar soap/1 cup Borax/1 cup Washing Soda in a 5 gallon bucket. Since we have hard water in our area I also added 1cup of Calgon water softener. So far it has worked well and my baby’s sensitive skin handles it just fine. I even have my fiance’s sisters wanting me to make it for them. I also add a cup of oxyclean to my homemade powdered laundry soap. Haven’t really had any complaints about using it. 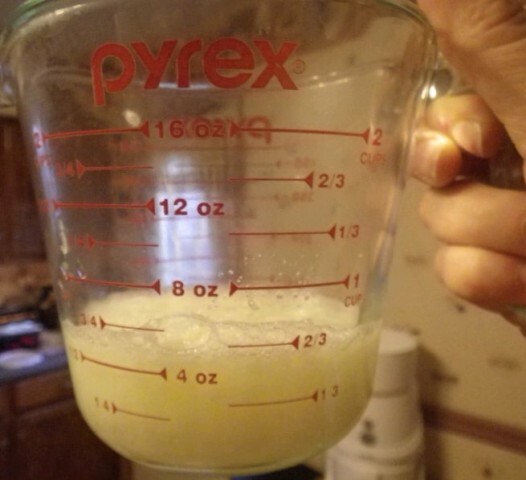 I made the recipe a coupIe of years ago and it gelled really thick so I did not make it again ( I figured it may be due to our well water, I decided to try it again and made the liquid recipe following Hallee’s instructions and doubled it, I used the fels naptha. We have well water so I used bottled pure water from walmart. The soap did not gel as thick this time, I am very happy with it and I like the stir and pour container idea. I was wondering if the powder recipe would gum up the soap fill compartment on an HE machine?, also does the powder desolve well when using cold water? I have well water which is hard water. Since I used a 5 gal paint bucket to mix all the ingredients, I got the idea to also use a paint stirring drill attachment that is used to stir paint, this worked great. I now have true liquid laundry soap. I used a corded hammer drill which is pretty powerful, I mixed the entire bucket to a liquid form in less than a minute. My clothes are clean and they actually feel softer. I have read on several posts on other sites that you can microwave the Ivory Soap bars and they will turn to powder and make them easier to handle. No grating required! I use the same one to one to one powder recipe, and I love it. 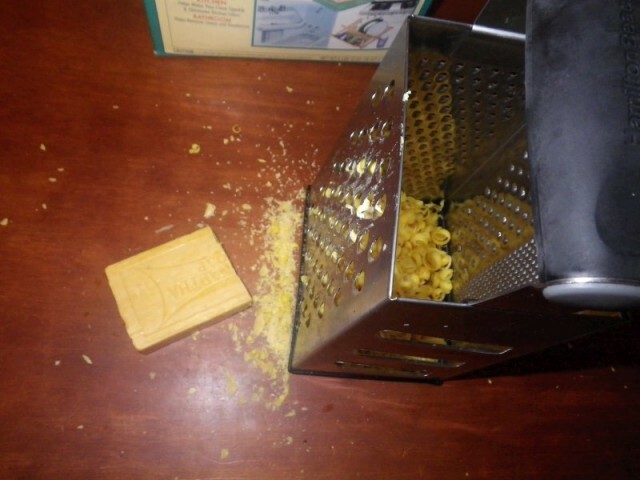 I didn’t have a grater, so I cut the bar of fels naptha into 8 cubes and put two or three at a time into my magic bullet blender. 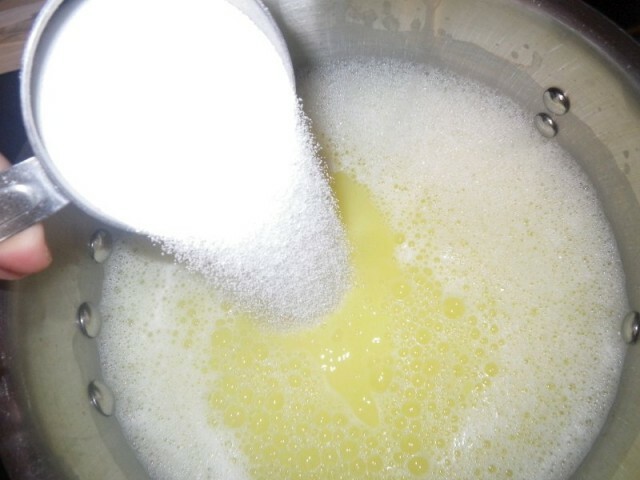 It turns the soap into a powder that mixes nicely into the recipe. This recipe seems to work great for us, but I like the oxyclean idea too. Can you use liquid dove soap? Yes. 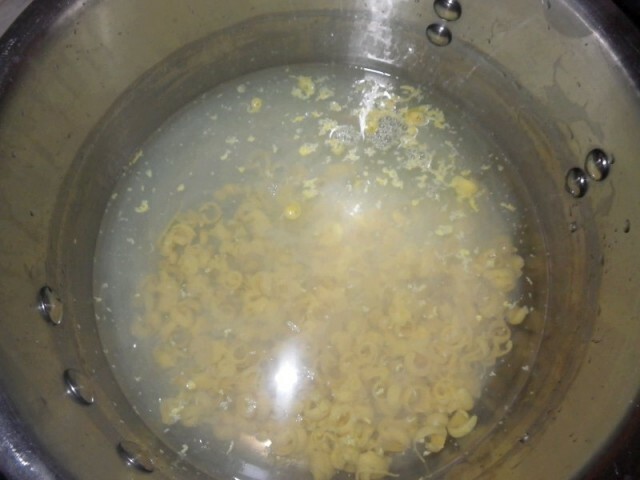 Liquid Dove is just pretty much the bars boiled with water. You can even make your own that way. I’d use about a cup of the liquid. Do I need to use a stainless steel pot? Is aluminum ok to us? Will either pot be affected by cooking the soap? Do you use your regular cookware or do you keep a separate pot for lap making?